Mach 1b February 1972: Larry Wallis replaces Mick Bolton. Mach 1c November 1972: Bernie Marsden replaces Larry Wallis. Mach 1d Spring 1973: Paul Chapman replaces Bernie Marsden. ask Schenker to join the band instantly, Marsden arrived the next day to finish the tour. 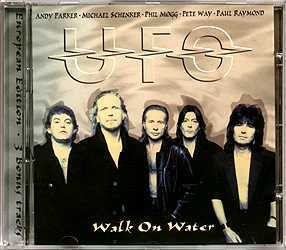 Scorpions were planning to break up so they encouraged Michael Schenker to take a job with UFO. Mach 2b January 1975, Paul Chapman left to form Lone Star. Mach 3b July 1976, Peyronel replaced by member of Savoy Brown, with whom UFO played a few shows. tour opening for Rush whom UFO terrorized with pranks such as the fuzzy pink slipper incident. and refused to tour, Chapman disbanded Lone Star, returned permanently to UFO. & Blue, some of Sloman's session work ended up on T.W.T.W.A.T.I). inexplicable lack of radio rotation/scant MTV airplay for "Back Into My Life." Molly), tour as Ozzy's bassist (Dec. 1982) and form WAYSTED, all within 7-8 months. When Sheehan's Talas began touring in Mid February, Paul Gray took over. returns to LA (joins local band Scarlett). Mogg heads to California to form next UFO. until guitar guru Mike Varney takes him to SF Bay Area's Tommy McClendon. Mach 6a & 6b May 1985: Jim Simpson replaces Robbie France. November 1985: Misdemeanor released in UK in time for well-received tour. March 1986: Remixed Misdemeanor released in America. March 28 1986: Johanneshov Stockholm as support to Twisted Sister. Mach 6c July 1986: Raymond replaced by Jacobsen as tour approaches west coast. launch EP's US release on Metal Blade, followed by sporadic sightings with Myke Gray on guitar. Dec 28, 1988: UFO play London's Astoria with Myke & Paul Gray in band (the latter's last gig). had product on labels that at one time had expressed interest in UFO--who remained label-less! Thus, the US Walk on Water was not sold in stores, only at concerts and through mail-order. 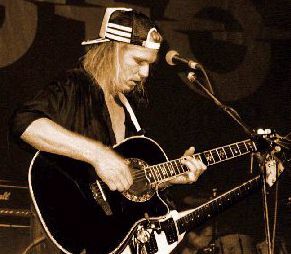 Oct. 1995: Schenker bails before tour ends, stirring up a rumor-mill and an internet inferno. Late 1996: UFO or at least Pete & Phil sign 3-album deal with Shrapnel & acquire George Bellas. at Prairie Sun studios in California. They can't call it UFO so they call the band "Mogg/Way"
used to be their booking agent in their early-80s heyday, so expect no nonsense this time! push or be pushed even 100 feet from the stage. anything but his solos spoke for themselfs. He was spot on, flawless, almost inhuman. I´ve seen him three times with MSG but this was something spectacular. and that was great but Schenker was even better. Way ran around and posed as usual and Mogg sang much better than when I saw him in 1986.
and Rock Bottom. All in all, it was a great concert. of the final set in my semifinal when the tape was put on for the third time. Sadly I lost the final towards Stefan after leading both 1-0 and 2-1.